At Flora Bora we are devoted to creating a unique and memorable lodging experience. 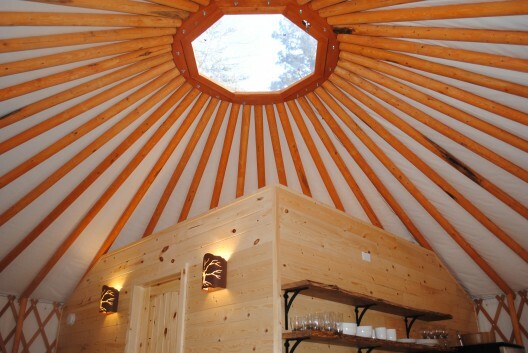 Guests have the opportunity of staying in a beautifully crafted yurt where sustainably harvested lodge pole pine radiate from the large dome in the ceiling creating a bright open space. 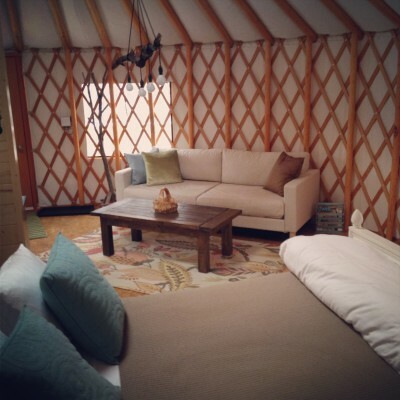 With one of a kind ambiance and style, each yurt was thoughtfully designed for luxury and comfort. 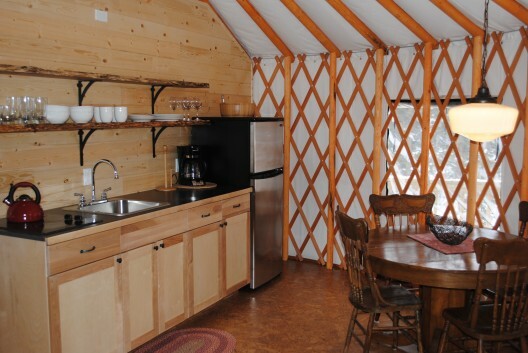 The yurts sleep 4 people and are equipped with full kitchen and bathroom. 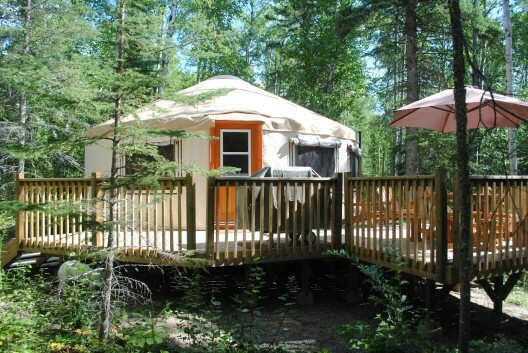 Included is all your cookware, fridge, cook top, toaster, coffee maker, complimentary fair trade coffee and tea, dish soap, towels, bbq, and handcrafted soap. 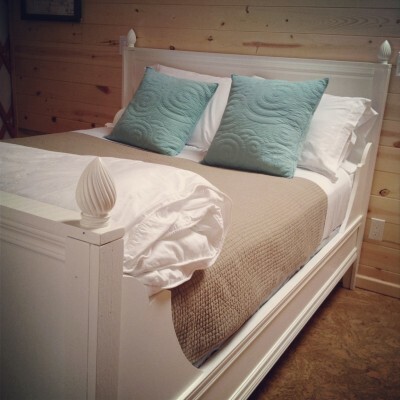 For your cozy enjoyment there is, bathrobes, beds topped with lush down duvets, and all linens are supplied. 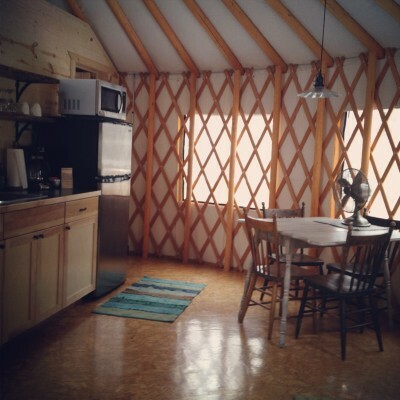 There are no TV’s in the yurts however there is plenty to do here and you may find it a nice break disconnecting from your electronics. There is a selection of board games available to rouse that competitive spirit while reconnecting with loved ones. 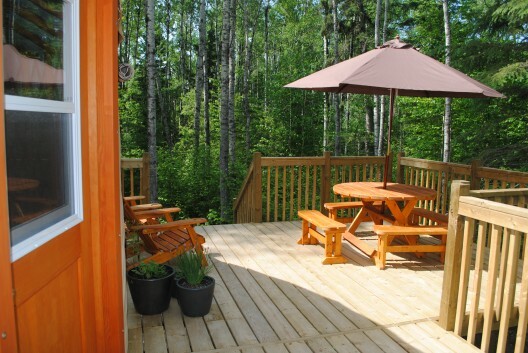 On your deck, there’s your choice of Adirondack chairs or stringing up one of the provided hammocks and relax under a canopy of trees. The Yeti’s nomadic spirit has taken him all over the world, as he hangs up his hat for a spell he returns rich with character and hand crafted items as unique as the places he’s traveled to. 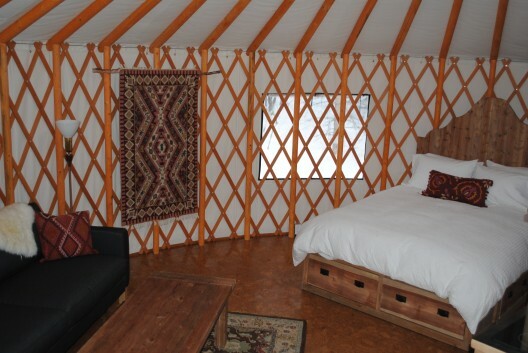 The décor of this yurt celebrates nomadic cultures with its hand woven textiles, plush textured pillows and warm colours creating a relaxing woodsy retreat. 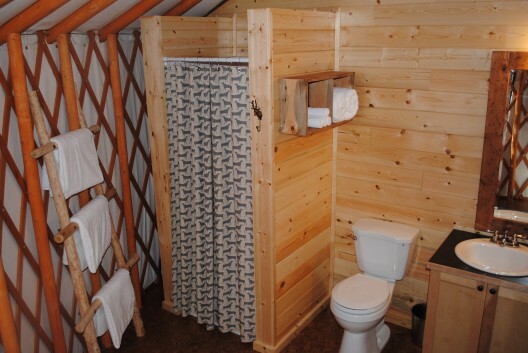 Reflective of nomadic yurt living, the Yeti has an open design with only the bathroom enclosed creating a spacious feel. 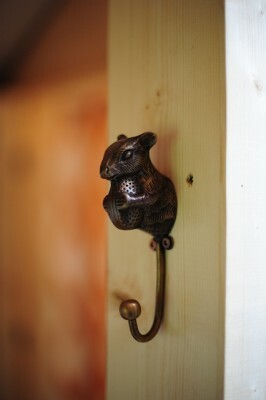 Betty’s Abode welcomes guests with her vibrant charm and rustic modern decor. 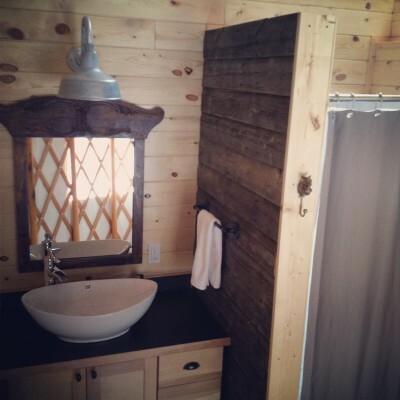 With her laid-back vibe, Betty’s cozy and playful demeanor captures the spirit of lake living; lively pops of colour, retro lighting, and hand crafted furniture using richly weathered wood all adds to the feel of a vintage country hideaway.